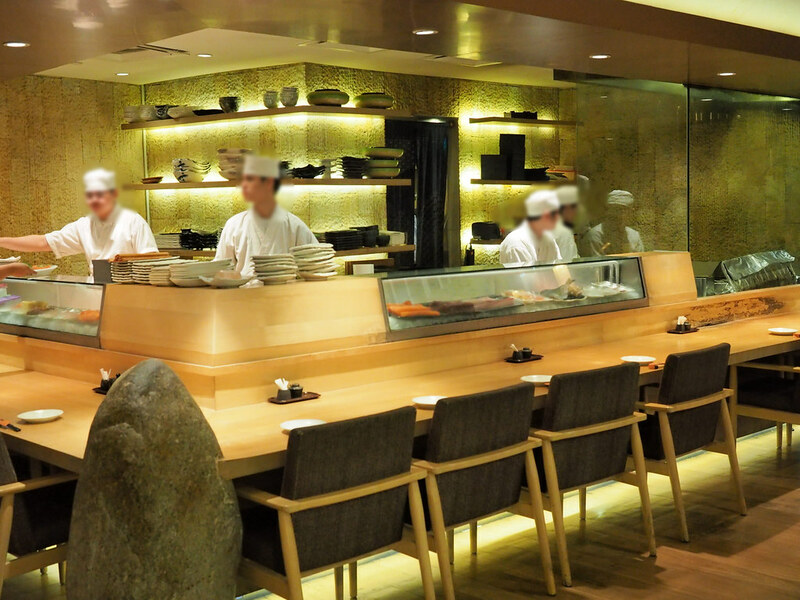 Rakuzen Japanese Restaurant is one of our favourite Japanese Restaurants besides Uroko Japanese Cuisine. 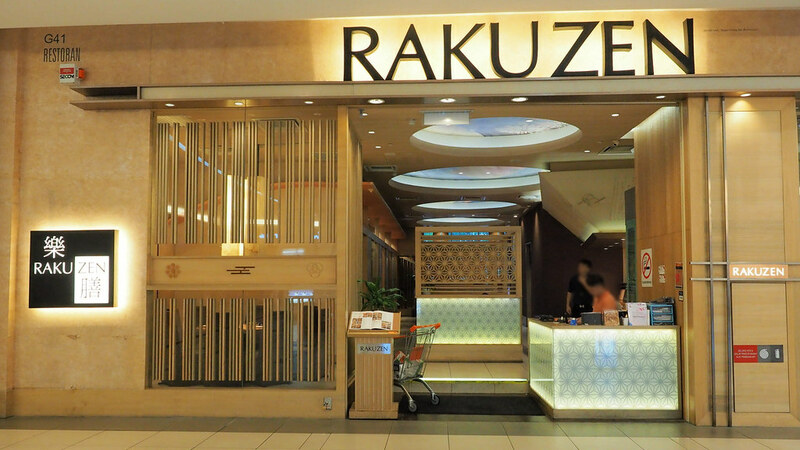 Rakuzen Japanese Restaurant has many outlets in Selangor and Kuala Lumpur, mostly in shopping malls. The one we went to is at 3 Damansara, formerly known as Tropicana City Mall. 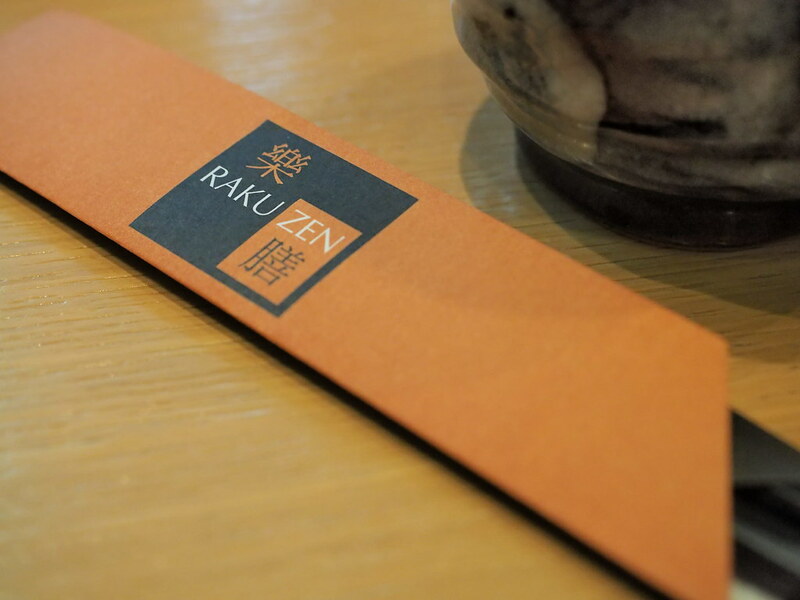 We actually visited Rakuzen many times for dinner and this time I decided to bring my camera to share about this awesome Japanese Restaurant. Reads on to find out about our dinner here. Let’s shoot some photos first while waiting for our food to arrive. 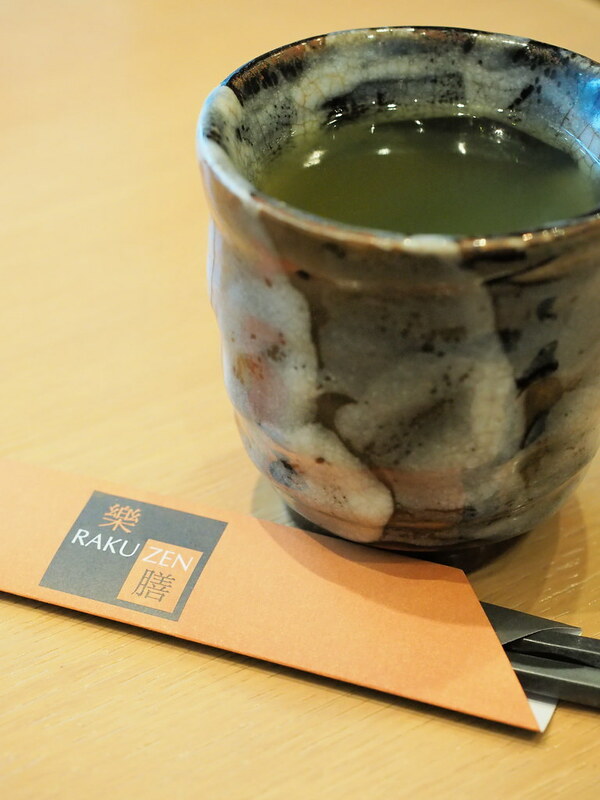 Unlike many other Japanese restaurants, Rakuzen serves green tea for free with unlimited refill. So, no need to share drink with laupoh like always. The chopstick at Rakuzen is served in this paper wrapping. Those chopsticks are very clean every time we visited this Japanese restaurant. The buzzer for customers to press if they need to call the waiter. 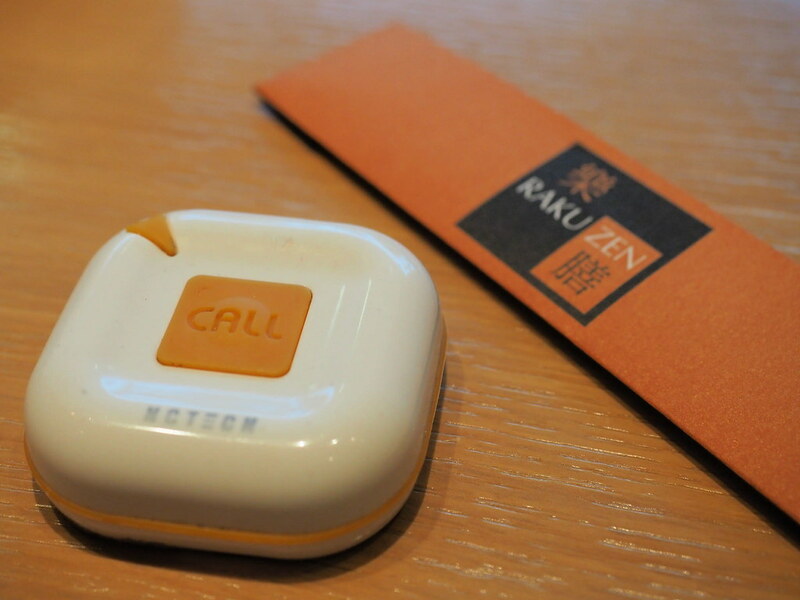 From my experiences, the Rakuzen’s waiters here are very responsive to the buzzer. We like to order a plate for ginger when eating in a Japanese Restaurant. In Japan, this plate of ginger is called Gari (ガリ). 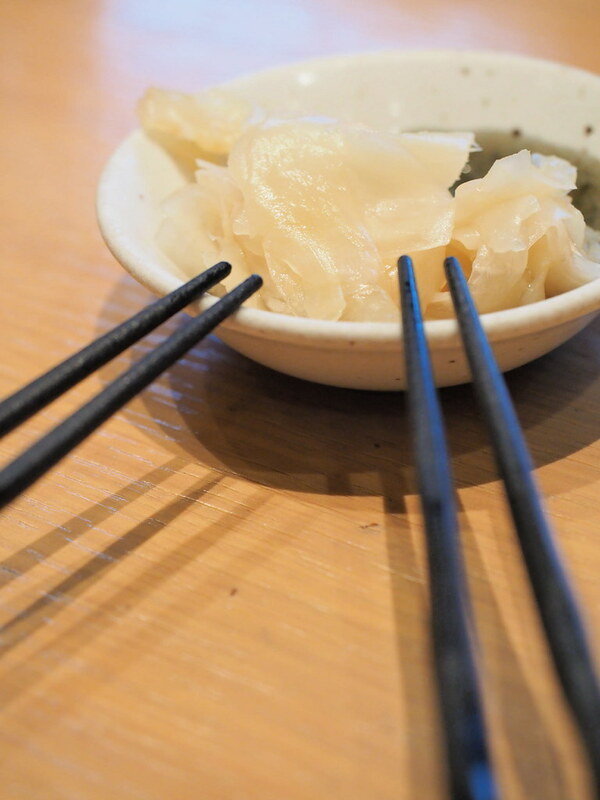 It is a type of pickled vegetables (tsukemono). The sweet and sliced young ginger is marinated with vinegar and sugar. The Gari here is always tasty. 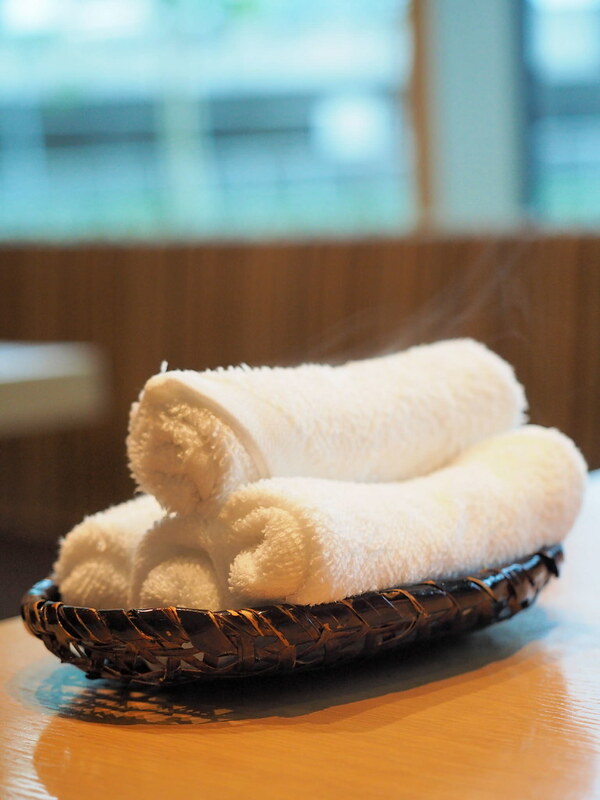 Rakuzen Japanese Restaurant serves the customer with hot towel to clean their hand and face before enjoying their meal. 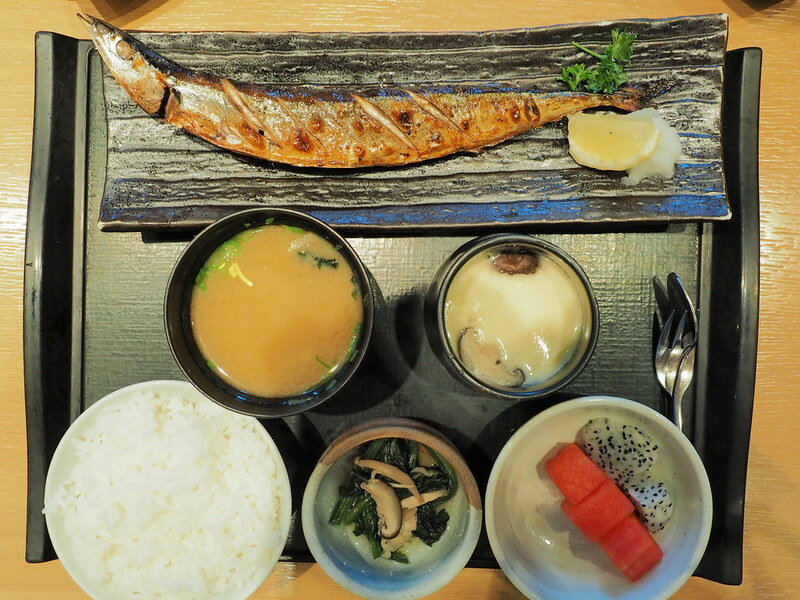 For my dinner, I chose the Yakizakana Zen (Grilled Fish Set with the choice of Sanma fish). You can choose Saba fish for the set. 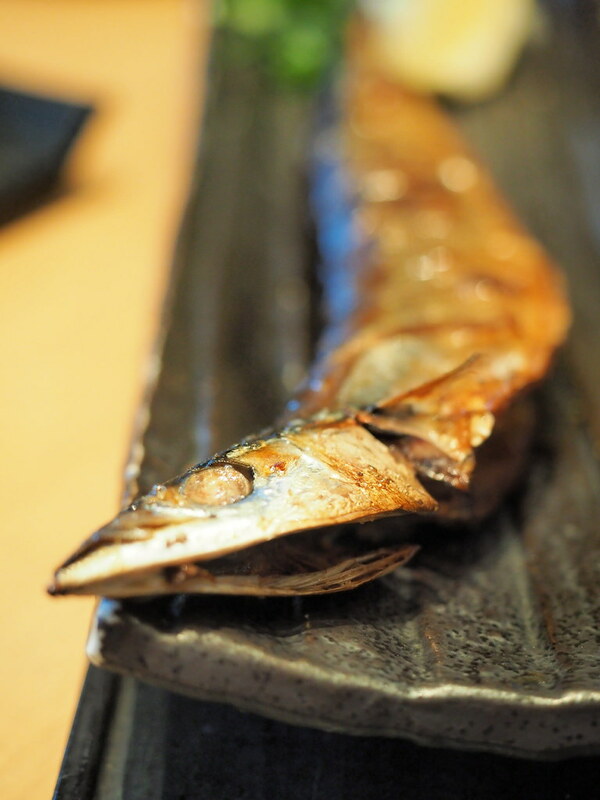 Sanma fish is sweeter but is has a lot of fish bones. A close up on my Sanma fish. 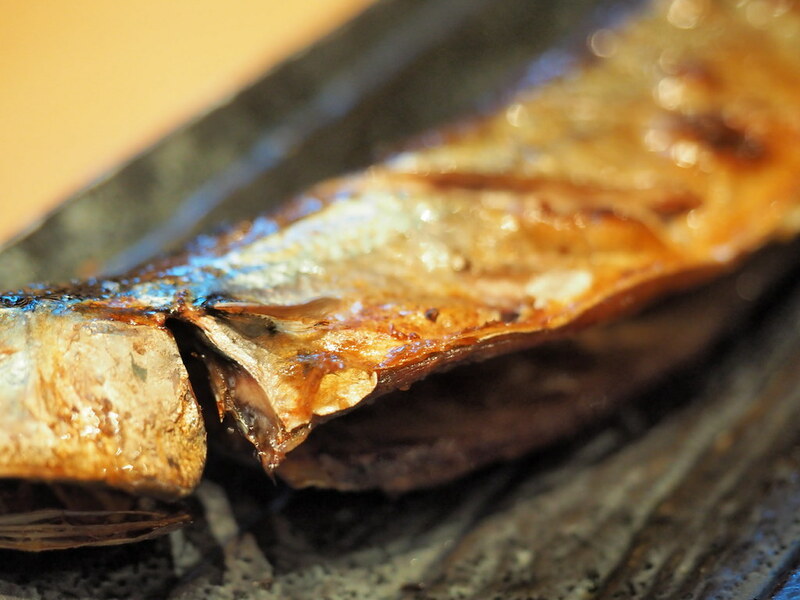 Rakuzen’s Sanma fish is perfectly grilled until the skin become so crispy and the fish meat is so juicy. 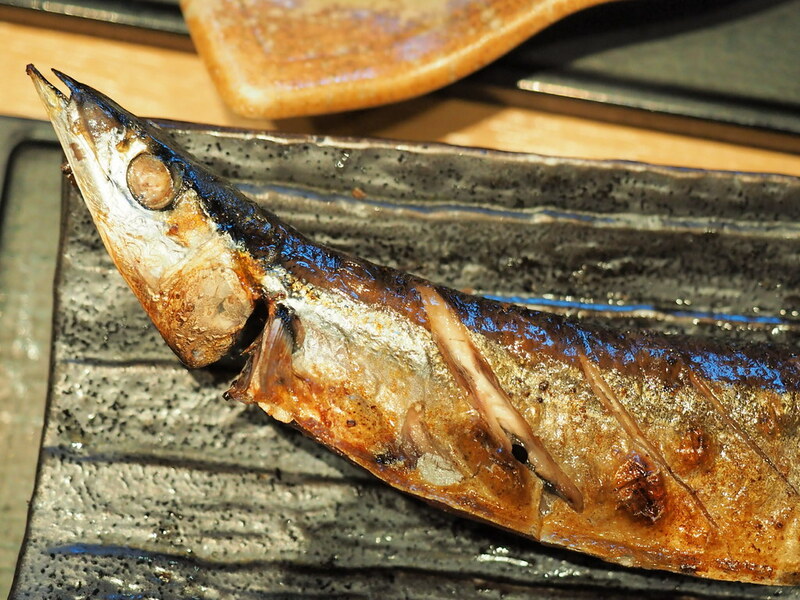 Look at the delicious grilled Sanma fish. Remember to eat with a few drops of provided lemon juice to make it even more tasty. Another photo of the Rakuzen’s Yakizakana Zen Sanma fish before moving to next dinner set. The dinner set here comes with Chawanmushi (egg custard dish), Miso soup, fruits, picked vegetable, salad and a bowl of white rice. 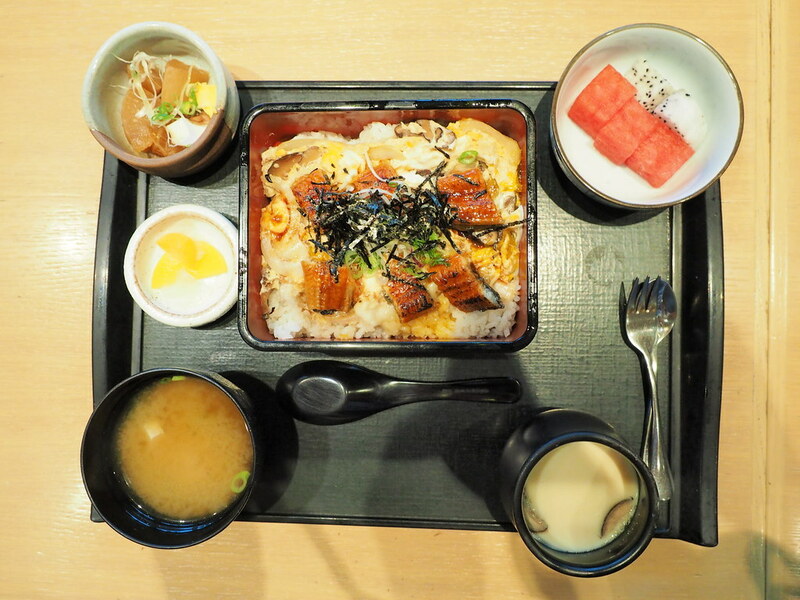 Laupoh ordered this Unatama Jyu Zen (Roasted Eel & Omelette on Rice Set) for her dinner. 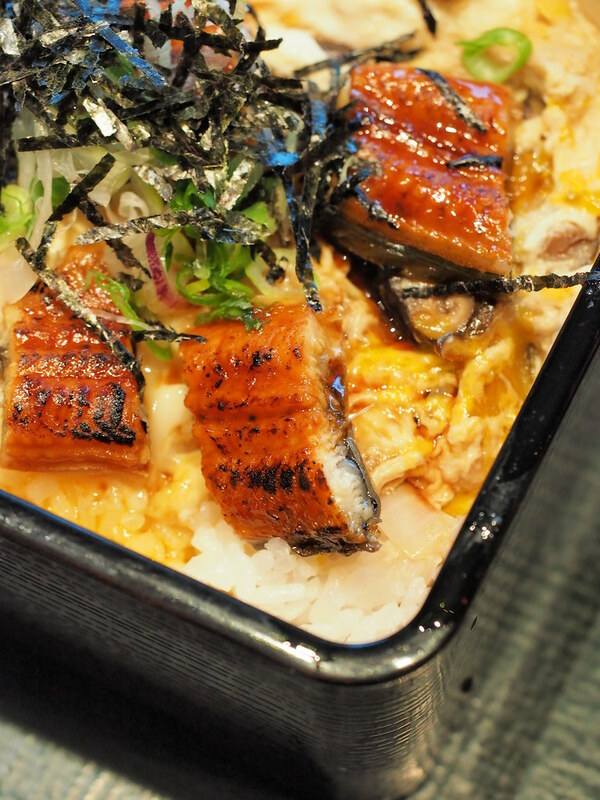 A closer look on the big piece of thick juicy Unagi. I tried a piece and it is really delicious. 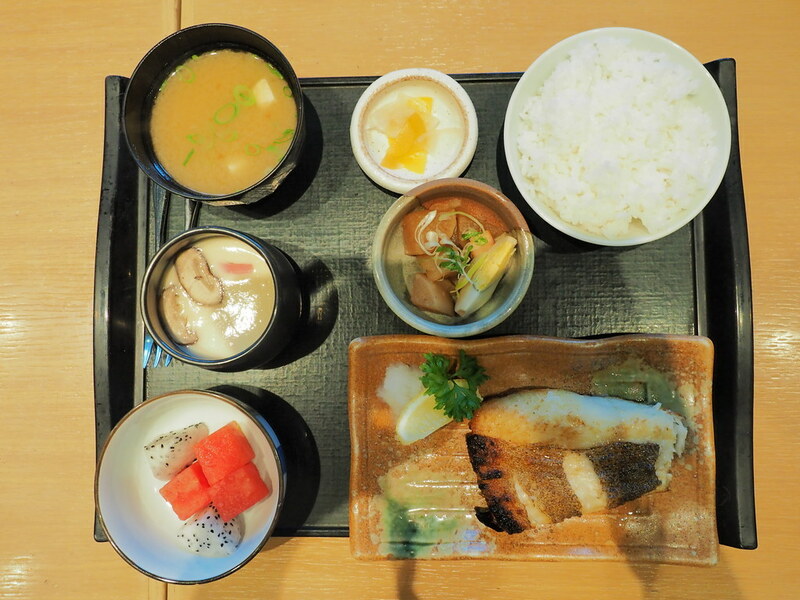 Mum ordered this set of Karasu Karei Teriyaki Zen (Grilled Atlantic Flatfish Set) at Rakuzen. The set comes with this big cut of Atlantic Flatfish. I tried a bit and it is very fresh and delicious. Probably will order this dinner set on my next visit to Rakuzen Japanese Restaurant. 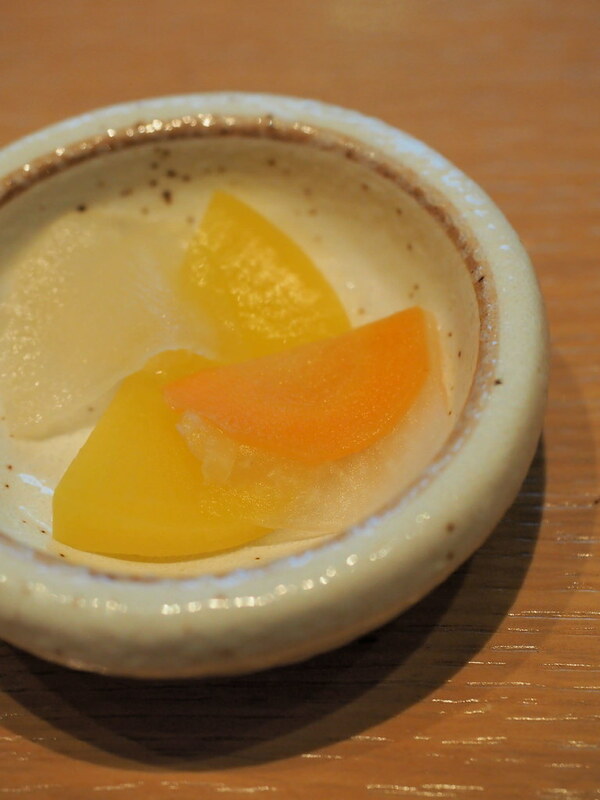 Pickled vegetables from the Rakuzen Japanese Restaurant dinner set. Laupoh don’t really like pickled vegetable, so I ate all of them. 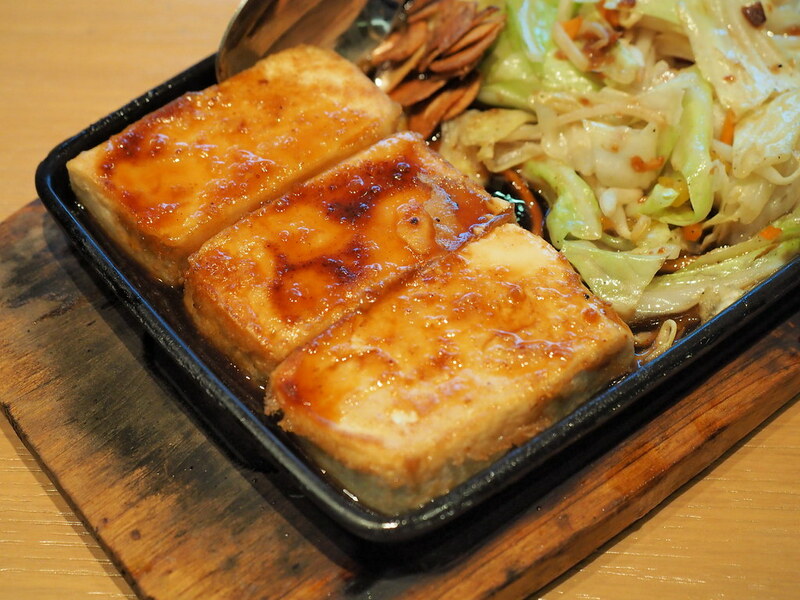 One of our favourite dish at Rakuzen is this Tofu Steak, served piping hot. It is a perfect dish for sharing. 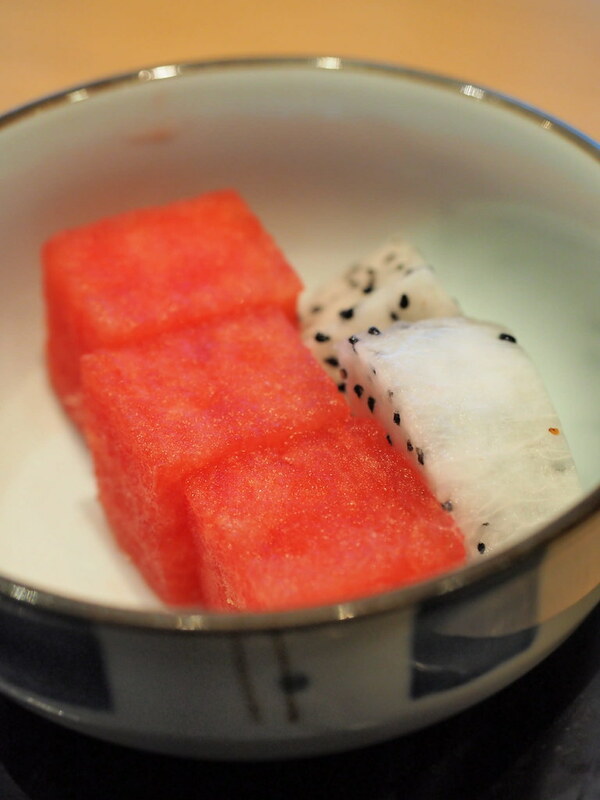 All the dinner sets at Rakuzen come with a bowl of fresh fruits such as watermelon and dragon fruit. The fruits are always sweet and juicy. Chawanmushi is also included in the dinner set. 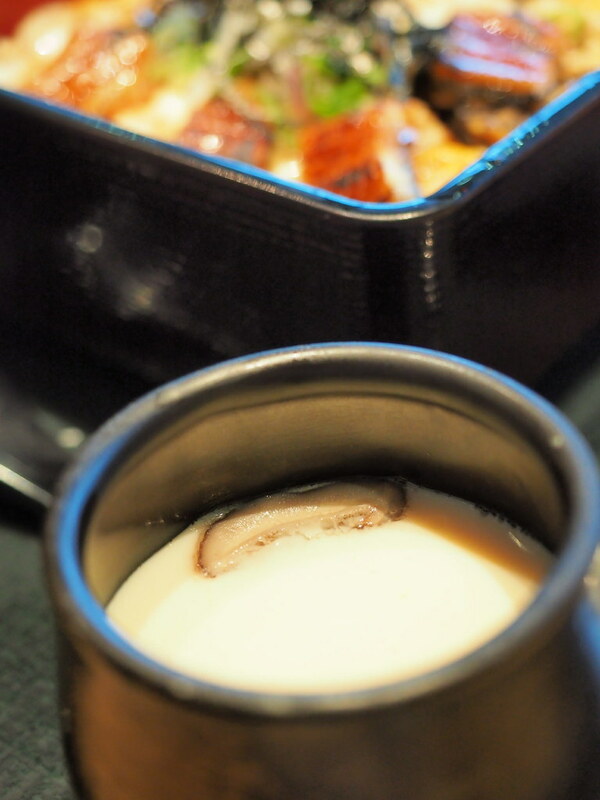 Chawanmushi at Rakuzen is generous with ingredients such as chicken, ginkgo and mushroom. 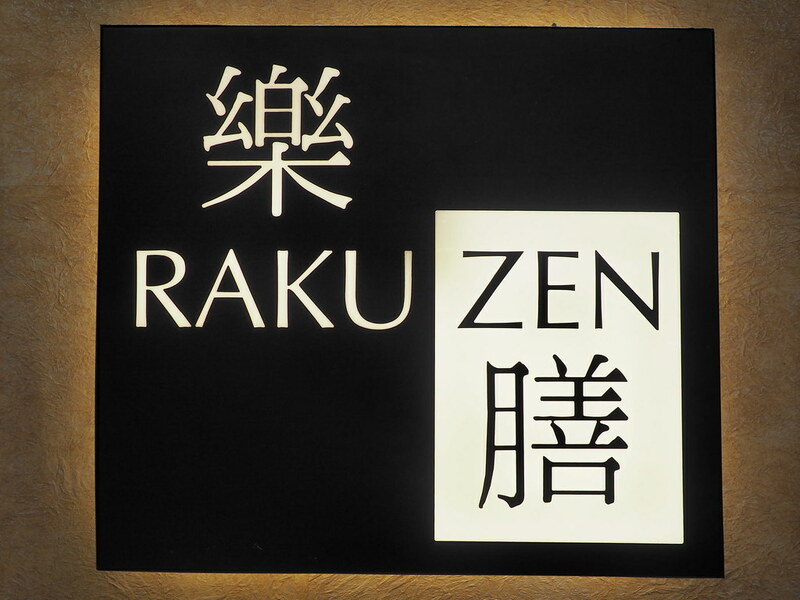 Rakuzen Japanese Restaurant has a very extensive food and beverages menu. 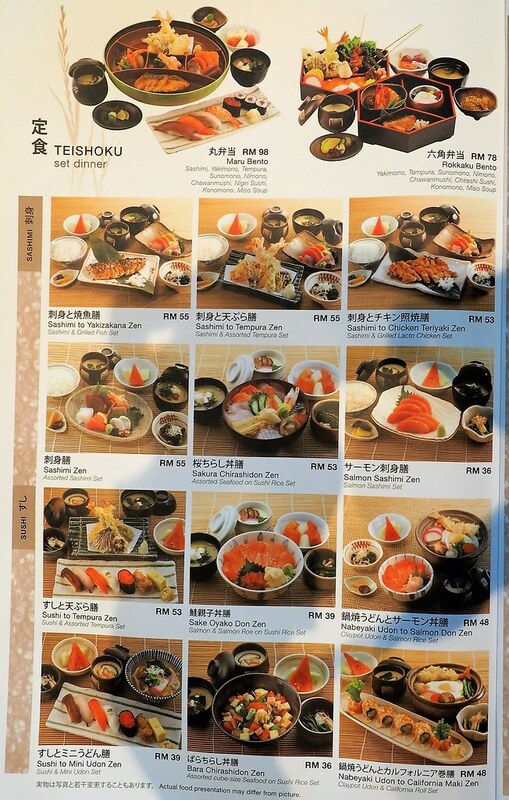 Starting from this Teishoku Menu (Dinner Set) which we normally ordered from. My favourite from this page is the Salmon Sashimi Dinner Set. Click here to view a larger photo of the menu. The second page of Teishoku Menu (Dinner Set) at Rakuzen. 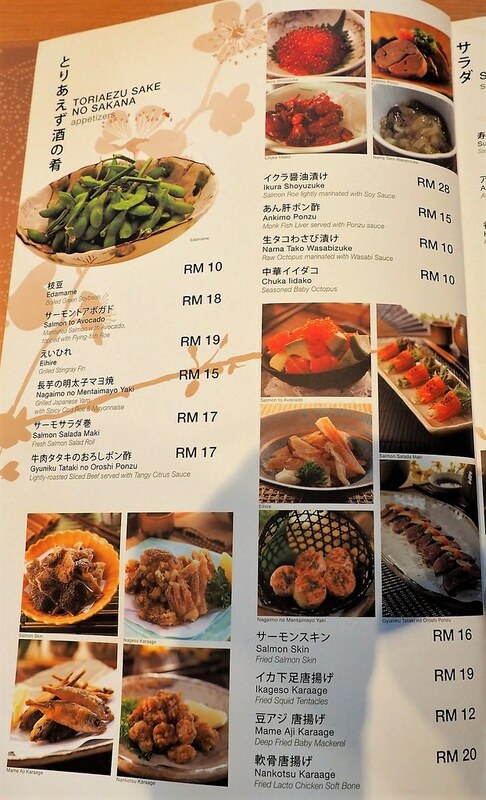 My Yakizakana Zen (Grilled Fish Set with the choice of Sanma fish) is from this page at RM 35. 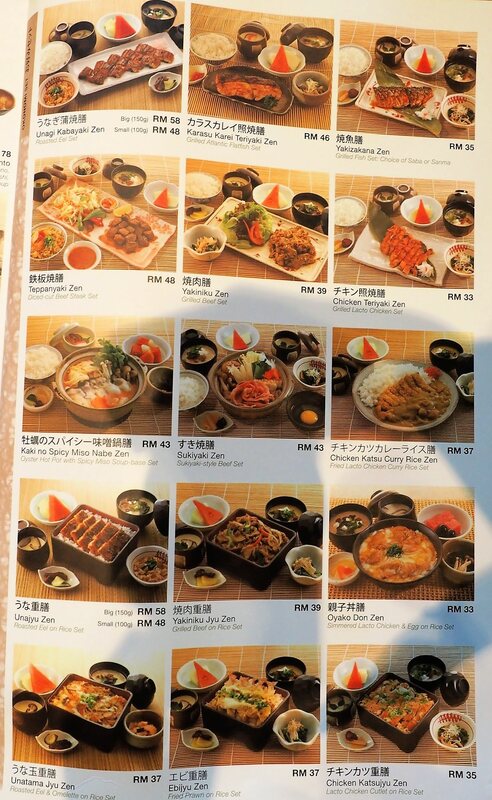 My other favourite from this page is the Teppanyaki Zen (Diced-cut Beef Steak Set) and Chicken Teriyaki Set. Click here to a bigger menu photo. 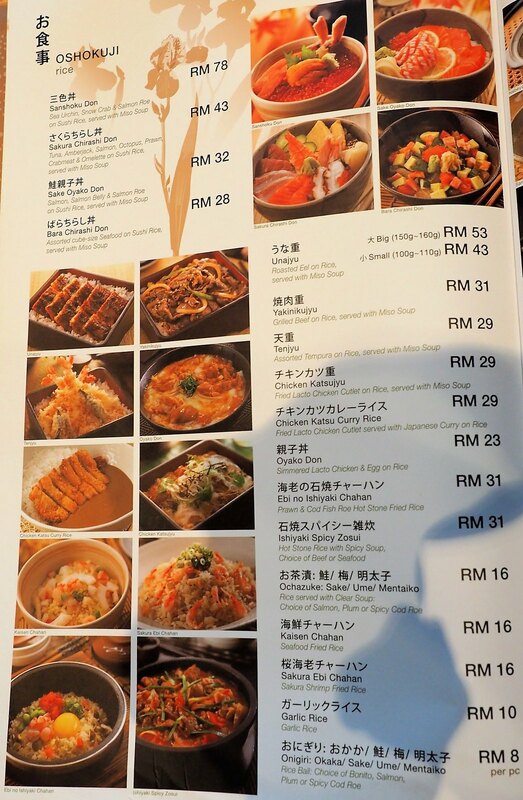 Rakuzen Japanese Restaurant also has many types of rice dishes, such as Chicken Katsu Curry Rice and Sake Oyako Don. Click here to view a larger photo of the menu. 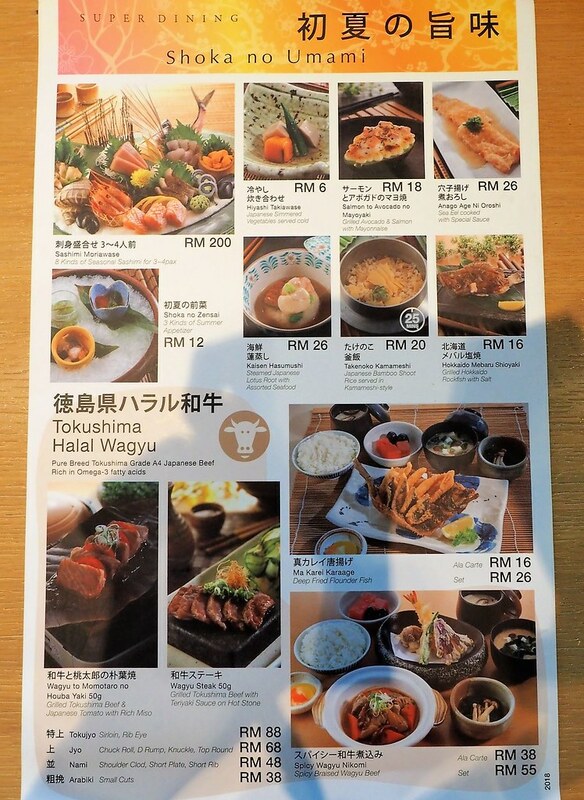 The next page of the Rakuzen food menu is the Wagyu Special. Personally I haven’t try Wagyu beef in my whole life due to the price. 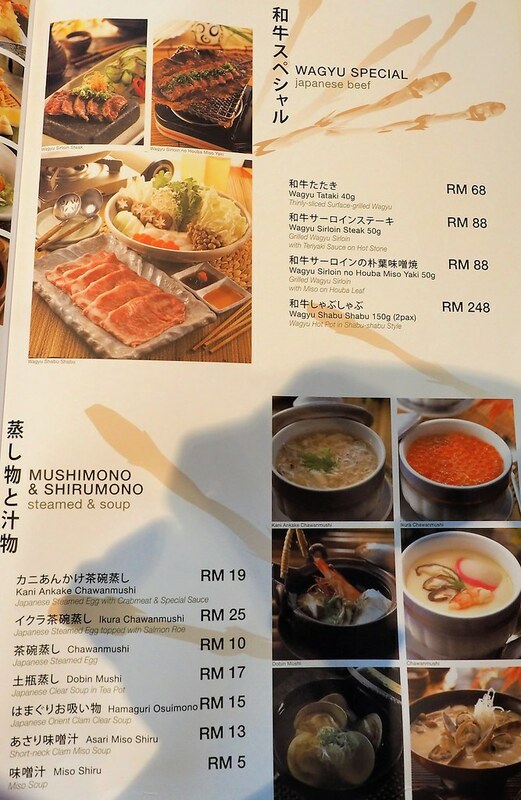 Below the Wagyu beef dishes are the steamed food and soup such as Chawanmushi and Miso soup. 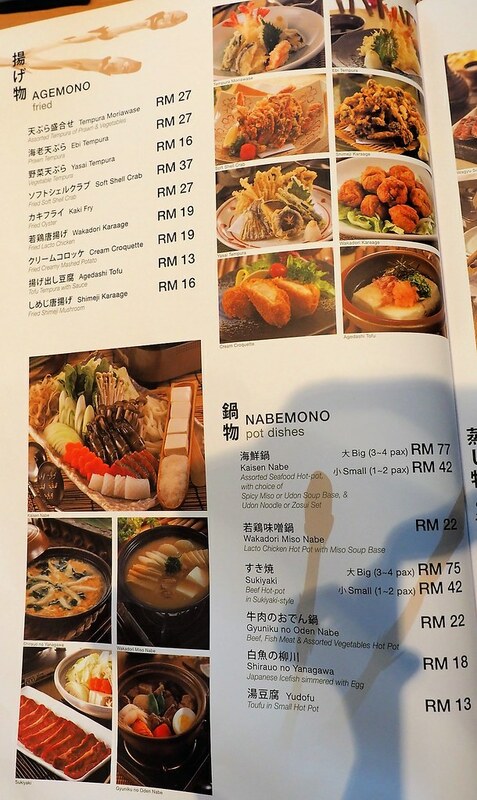 In this page of the food menu are the fried food such as Ebi Tempura (fried prawn) and pot dishes such as Sukiyaki (beef hotpot in Sukiyaki Style). 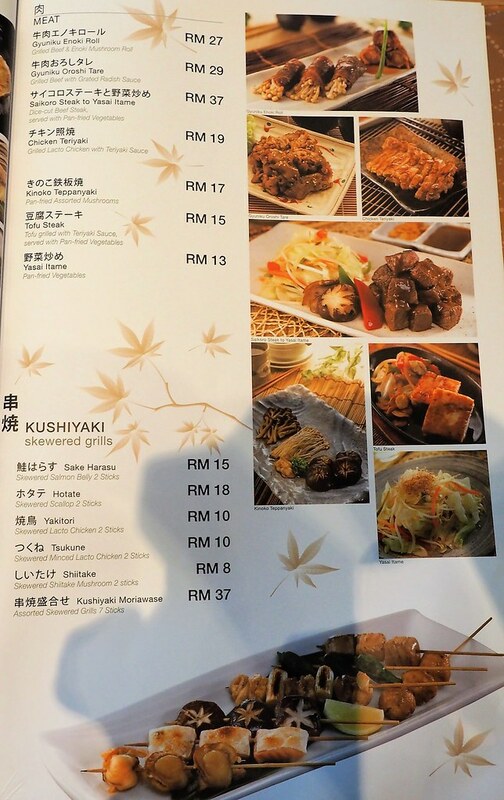 Next is the food menu for meat and skewered grills at Rakuzen Japanese Restaurant such as grilled beef and Yakitori (Skewered Lacto Chicken). 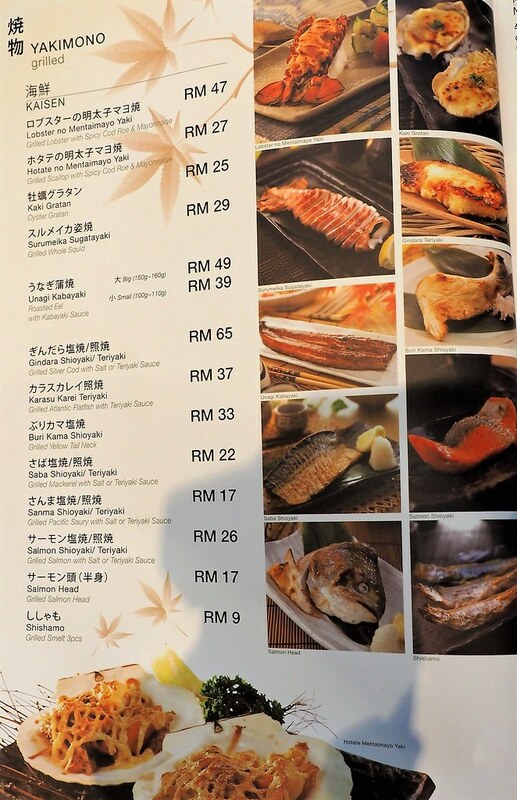 There are more grilled food here at Rakuzen Japanese Restaurant on this page of their food menu, such as the Grilled Salmon Head and Grilled Yellow Tail Neck. 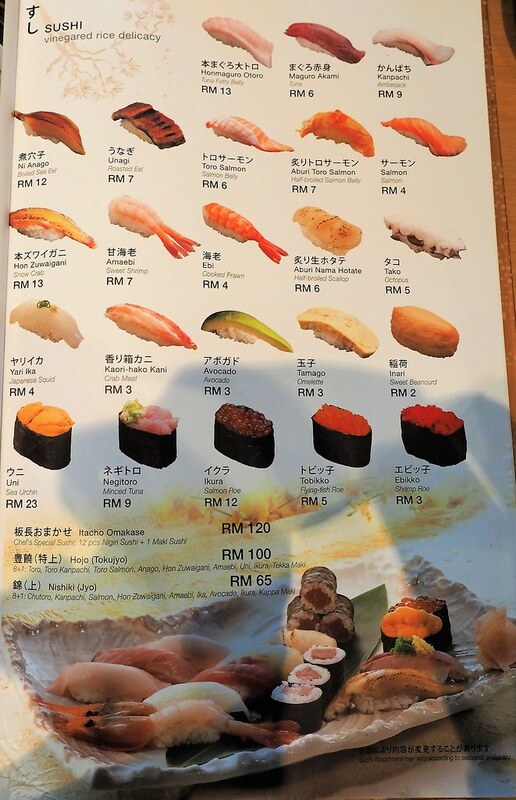 Finally, the sushi menu which is a must have dish in a Japanese Restaurant. 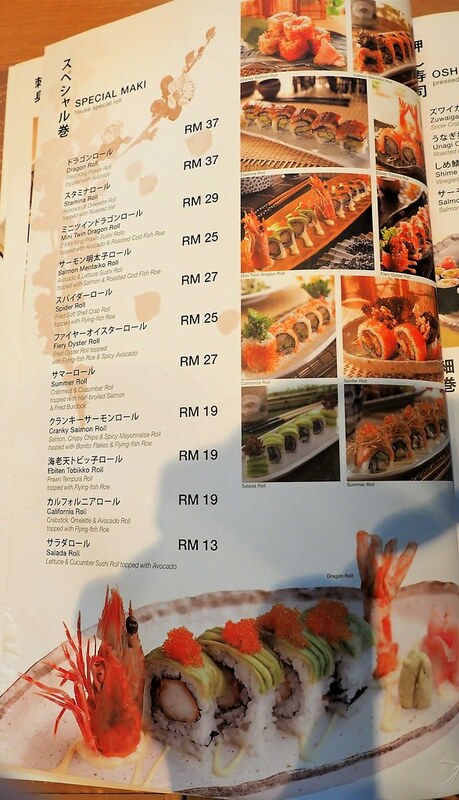 Temaki (handroll) is also on this page of food menu at Rakuzen. 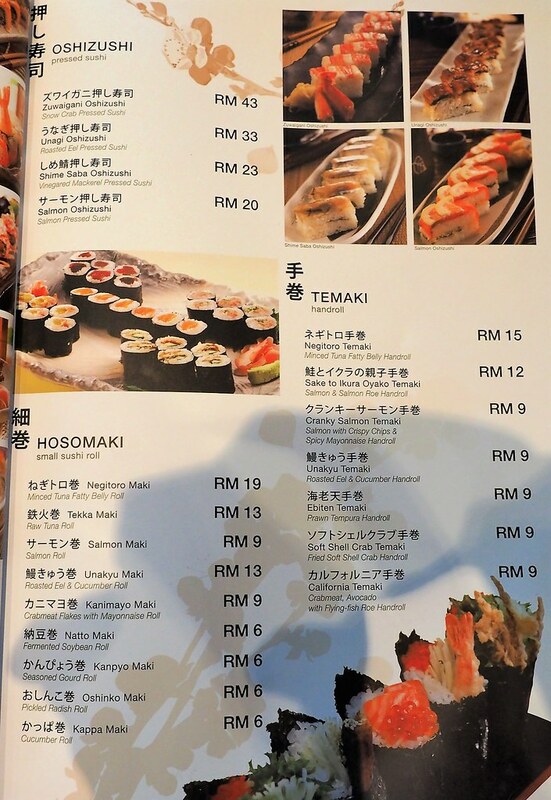 This food menu page shows the House Maki (special roll). 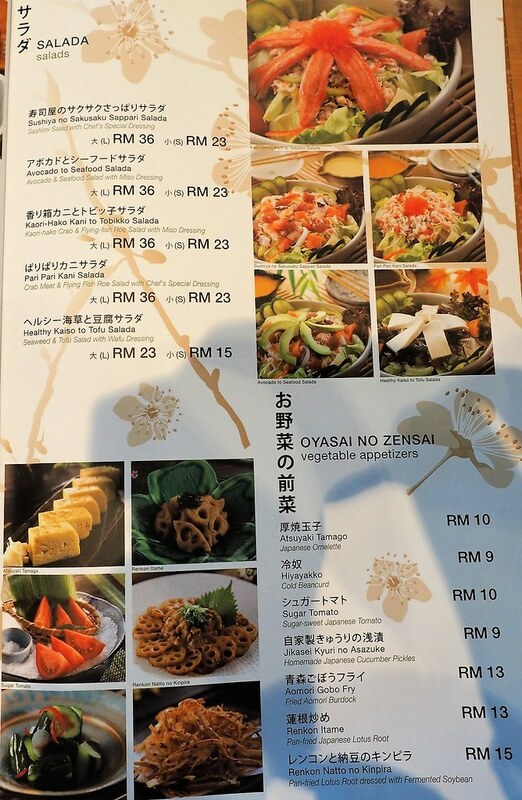 We always order from this page as well for sharing among friends and family members when having dinner here. 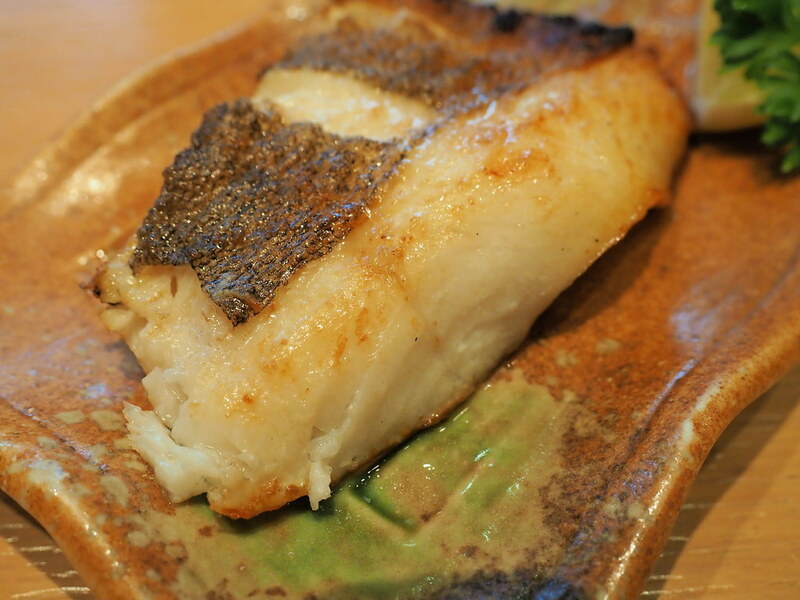 More Sushi (Vinegared Rice Delicacy) menu such as Ebi Sushi and Inari (Sweet Bean curd). 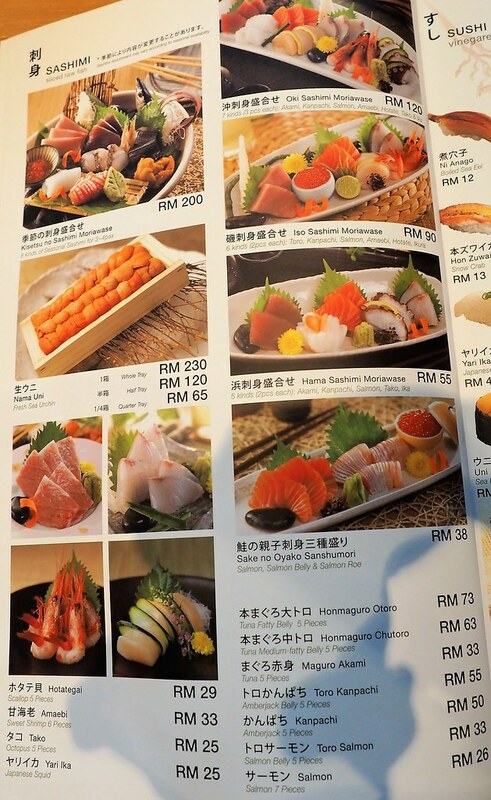 Rakuzen Japanese Restaurant also serve wide varieties of Sashimi (sliced raw fish) such as salmon, tuna scallop and (Tako) octopus. Salad and vegetable appetizers such as Atsuyaki Tamago (Japanese Omelette). More appetizers for the pre-meal at Rakuzen such as the Edamame and fried salmon skin. 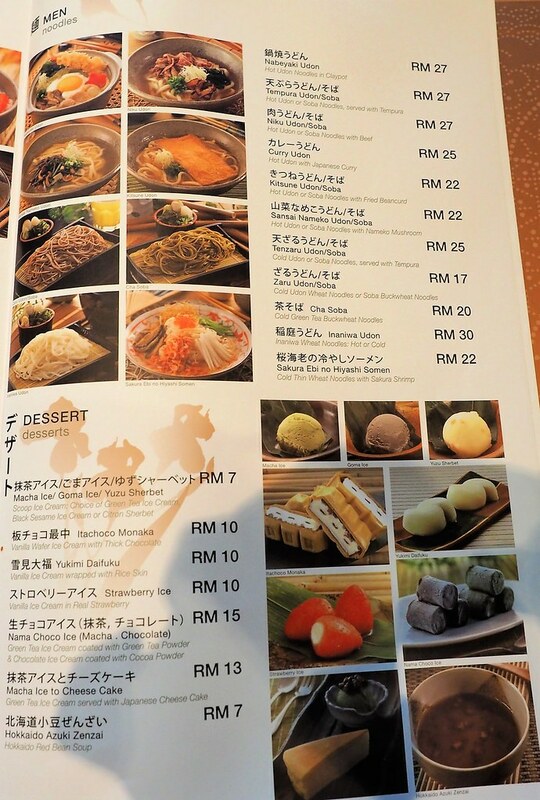 There are noodles and desserts in the last page of the food menu. All kinds of udon and soba are available at Rakuzen. For the dessert to end your dinners, there are Hokkaido Red Bean Soup, Green Tea Ice Cream served with Japanese Cheese Cake and Sherbet. 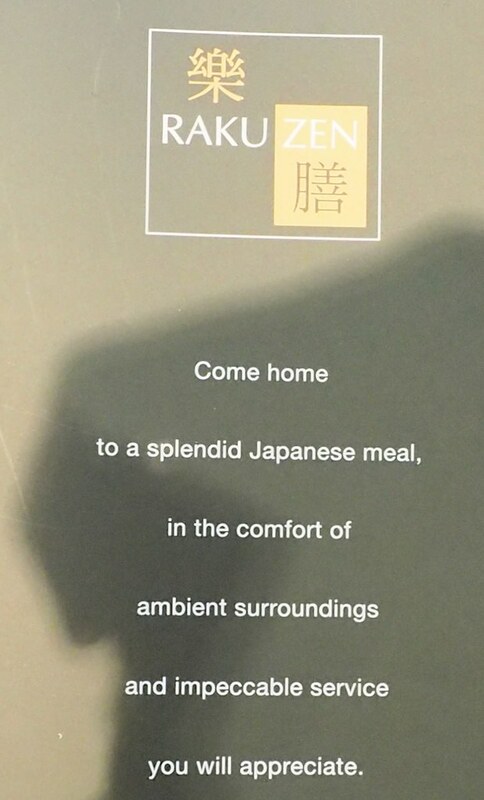 The back cover of the food menu at Rakuzen Japanese Restaurant. It is trying to tell us that Rakuzen is as comfortable as your own home, I guess. If you like Japanese Sake, there are many types of Sake here. 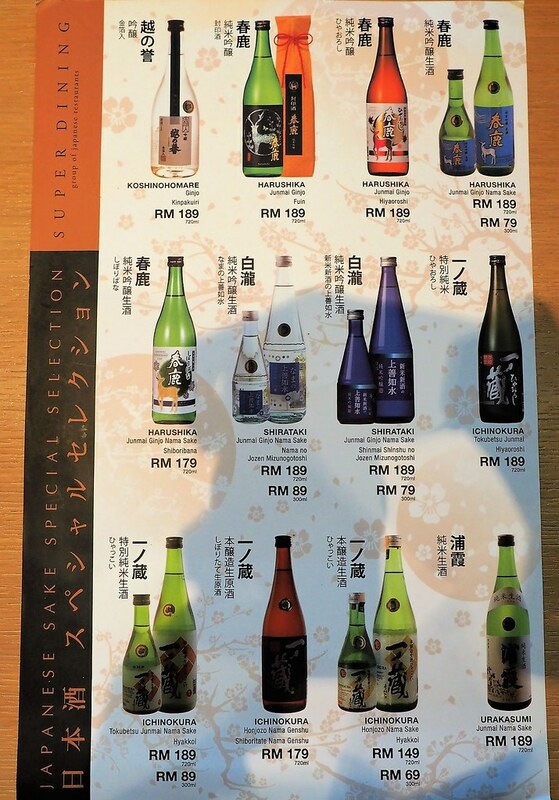 Those Sake are specially selected by Rakuzen. Sometimes, Rakuzen’s has special or promotional dishes as well. One of it is the Spicy Braised Wagyu Beef set. The Japanese Restaurant chefs slicing fresh Sashimi and preparing sushi in front of the customers. 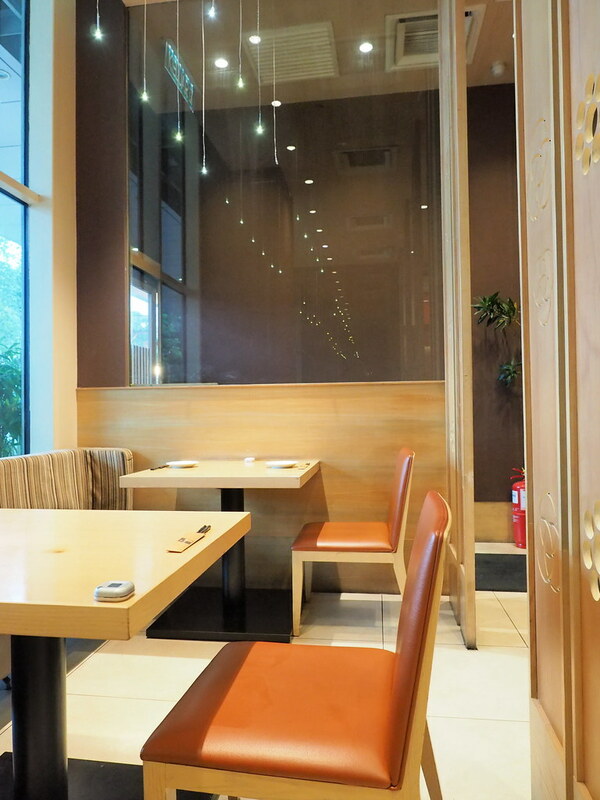 One of the corner in the Rakuzen Japanese Restaurant. The tables and seating here are very comfortable. In front of the Rakuzen Japanese Restaurant.